May 17, 2018, during the Association’s Annual Conference. NOW, THEREFORE, BE IT RESOLVED that the North & East Texas County Judges and Commissioners Association expresses its wholehearted thanks and deep appreciation to the Honorable Court of Collin County for its courteous and warm hospitality extended to each of us. NOW, THEREFORE, BE IT RESOLVED that the North & East Texas County Judges and Commissioners Association expresses its deep appreciation to our generous conference sponsors and exhibitors. NOW, THEREFORE, BE IT RESOLVED that the North & East Texas County Judges and Commissioners Association members pause for a moment of silence and meditation to honor the memory of these respected individuals. NOW, THEREFORE, the North & East Texas County Judges and Commissioners Association and its 74 current member counties do hereby resolve that for the foregoing reasons, it is in the best interests of Texas counties and their taxpayers to support and favor the passage of legislation in the form of an amendment to the Constitution of the State of Texas that would expressly prohibit the imposition of a mandatory governmental program on Texas counties, whether by an act of the Texas Legislature or a state agency or by executive order, unless the State of Texas has fully funded and disbursed all necessary funds to enable Texas counties to operate said governmental program. NOW, THEREFORE, BE IT RESOLVED that the North & East Texas County Judges and Commissioners Association does hereby express its opposition to efforts to limit local decision-making and does hereby oppose any attempts to impose revenue caps upon Texas counties, and the North & East Texas County Judges and Commissioners Association expresses its deep appreciation to all legislators who oppose these unsound measures. 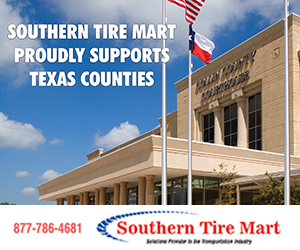 NOW, THEREFORE, BE IT RESOLVED, that the North & East Texas County Judges and Commissioners Association requests that the Legislature amend the tax statutes to allow the adoption of a county local option sales tax, a local option severance tax, a local option motor fuel tax, an increase in local vehicle registration fees, and other revenue sources for the reduction of property taxes without imposing any additional revenue caps. NOW, THEREFORE, BE IT RESOLVED that the North & East Texas County Judges and Commissioners Association opposes any attempt to impose a mandatory assessment upon Texas counties to fund a regional or statewide health care system and instead supports the continuation of the voluntary Section 1115 grants. NOW, THEREFORE, BE IT RESOLVED that the North & East Texas County Judges and Commissioners Association does hereby request that the Texas Legislature fully fund the costs of indigent criminal defense which has cost local taxpayers over $2.6 billion from 2001 through 2017. NOW, THEREFORE, BE IT RESOLVED that the North & East Texas County Judges and Commissioners Association does hereby request that the Texas Legislature fully fund the costs of supervision of juvenile offenders, including the costs for juvenile probation services. NOW, THEREFORE, BE IT RESOLVED that the North & East Texas County Judges and Commissioners Association hereby requests that the State of Texas implement additional funding for mental health services and implement the state mental health plan to ensure the efficient and effective use of these resources. NOW, THEREFORE, BE IT RESOLVED that the North & East Texas County Judges and Commissioners Association expresses its opposition to any state diversion of dedicated funds and supports the state leadership’s commitment to end this practice. 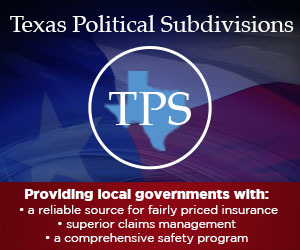 NOW, THEREFORE, BE IT RESOLVED that the North & East Texas County Judges and Commissioners Association opposes the granting of additional powers to municipal utility districts and special utility districts and requests that the approval of the county be required before any further districts are created. NOW, THEREFORE, BE IT RESOLVED that the North & East Texas County Judges and Commissioners Association does hereby request that additional funding be appropriated to support the county road grant program. NOW, THEREFORE, BE IT RESOLVED that the North & East Texas County Judges and Commissioners Association requests that state law be amended to require a due process permit proceeding and approval by the local Commissioners Court and groundwater conservation district before any permit is granted for uranium mining. NOW, THEREFORE, BE IT RESOLVED that the North & East Texas County Judges and Commissioners Association hereby requests that no permits be issued for the disposal of sludge waste without the approval of the Commissioners Court and that the Texas Legislature clearly authorize local control of all sludge waste permits. NOW, THEREFORE, BE IT RESOLVED that the North & East Texas County Judges and Commissioners Association is opposed to any legislative action that would remove current county authority to regulate fireworks. NOW, THEREFORE, BE IT RESOLVED that the North & East Texas County Judges and Commissioners Association opposes the rules as adopted by the Texas Department of Motor Vehicles amending Title 43 of the Texas Administrative Code Chapter 217. NOW, THEREFORE, BE IT RESOLVED that the North & East Texas County Judges and Commissioners Association requests full funding, staffing and equipping of the labs to return results in the required legal time to serve justice. NOW, THEREFORE, BE IT RESOLVED that the North & East Texas County Judges and Commissioners Association requests that a constitutional amendment be adopted to allow counties to grant discretionary homestead exemptions based upon a dollar amount of the taxable value of the property. NOW, THEREFORE, BE IT RESOLVED that the North & East Texas County Judges and Commissioners Association requests that the State of Texas fully reimburse counties for all costs incurred for the confinement and transport of TDCJ inmates. NOW, THEREFORE, BE IT RESOLVED that the North & East Texas County Judges and Commissioners Association requests that the maximum county optional road and bridge fee be raised to $20 per vehicle. NOW, THEREFORE, BE IT RESOLVED that the North & East Texas County Judges and Commissioners Association requests full funding from the federal and state government for the replacement of all voting systems, programming, and maintenance. In addition to the above-adopted resolutions, the North & East Texas County Judges and Commissioners Association Resolutions Committee requests that the following items be recommended for future study and consideration. In honor of National County Government Month, Webb County held a special Commissioners Court Meeting on April 23 at the Vidal M. Trevino School of Communications and Fine Arts in Laredo. The meeting, conducted in its usual manner, took place before a crowd of 250-plus students from the Laredo Independent School District (LISD); interestingly this was the first time in Webb County history that Commissioners Court met at an alternate location. Students from LISD were given an opportunity to see firsthand the different roles and responsibilities each elected and appointed county official has within the county. The goal behind this idea was to demonstrate to students how county government works and the decisions that are made in their government, explained Webb County Judge Tano Tijerina. Items of discussion included the proposed Webb County Fair Grounds, the LISD bond election, and other pressing county issues. Students were given the opportunity at the end of the meeting to ask questions regarding any item on the agenda. As of September 2017, 619 County Judges and County Commissioners have earned their Commissioners Court Advanced Curriculum certification giving them an in-depth understanding of not only their particular office, but county government as a whole. Commissioners Court Advanced Curriculum (CCAC) is a comprehensive educational program designed specifically for members of Commissioners Court. “This program strengthens the credibility of our elected officials,” declared Cherokee County Commissioner Byron Underwood, chairman of the County Judges and Commissioners Association of Texas (CJCAT) County Commissioners Education Committee. “The advanced curriculum helps us learn about every aspect of county government including the duties and responsibilities of all elected officials, which helps us all excel in our official duties.” Underwood received his CCAC Completion Certificate in 2010 during his first term in office. Phase I Orientation courses currently are offered at the LBJ School of Public Affairs Seminar for Newly Elected County Judges and Commissioners, which is conducted in Austin every January following an election year. Since it is not feasible to require County Judges and Commissioners to retroactively attend the LBJ Orientation Seminar, County Judges and Commissioners who assumed office prior to Jan. 1, 1995, are permitted to substitute 16 hours of other approved instruction for the orientation course. Every so often, County Progress asks our distinguished Judges and Commissioners to allow us a glimpse into their public lives, giving us a fresh appreciation for the myriad of roles and responsibilities they shoulder every day. Our thanks to Childress County Commissioner Lyall Foster for taking the time to visit with us. I believe God has a plan for all of our lives, and here is what He had for mine. When I was born, my parents lived on a farm 20 miles south of Socorro, N.M., in the Rio Grande Valley. My father farmed cotton, hay, and a few green chilies. My mother was a registered nurse and worked until we came along; then she was a full-time mother. All of our family lived in Oklahoma, so my mother chose for us to be born there. We lived on the farm for seven years before selling out and moving back to Oklahoma to be closer to family. My father already had a farm where he ran some cows, and he opened a salvage yard. My parents divorced, and I lived with my dad so I could finish school in Mangum, Okla. My mother took a job in Childress, Texas, at the hospital, and my little brother moved with her. My dad had a heart attack and passed away Jan. 12, 1972, and an adopted family took me in so I could finish school in Mangum. Zane and Frena Winters let me live with them, and with that came three brothers making me the foster child; we just lost Momma Frena this past April 22, and she was the last of my parents. After finishing school I moved to Childress and started working at the Lancer Mobile Home factory in the cabinet shop. I had a great shop teacher in high school, and we were always doing construction projects with Zane which helped in this endeavor. I was a little wild growing up; in fact, my theme song was Charlie Rich’s “Rolling with the Flow,” and the words of that song described my early life. I continued doing construction work after the factory shut down in 1986 with projects including all kinds of woodwork, especially cabinet building. I had been blessed with good health, but at some time we got to thinking about insurance, and so I started looking for employment that furnished insurance. This led me to my first job in Childress County in May 1990 as one of the custodians at the courthouse. As I worked in this job, I was able to see how all of the offices conducted business. It was rewarding meeting so many people who came in and out of the courthouse. I enjoyed helping people. For example, there were many people who did not like riding the elevator, so I would ride with them. I saw how the offices worked, but I never did attend Commissioners Court while I was working as a custodian. I decided to run for County Commissioner because the money was the same and I wouldn’t be at the courthouse all day. There were four who ran including the incumbent; I was fortunate enough to be the top vote getter and went on to prevail in a runoff. In 1991, Childress hired a new Extension agent, and I spent a good bit of time in that office when she wasn’t on the road. With the help of some friends and the Good Lord, we started dating and ended up getting married on my father’s birthday, Aug. 19, 1993. My wife, Pam, retired after 32 years with Extension. In fact, one of Pam’s former 4-H students, Kelli, is an Extension specialist and is like a daughter to Pam. We don’t have any children of our own, but through the lives that she has touched we are blessed to have thousands of kids. We also have two fur babies, Spanky, a 3-year-old Westie, and Macie, a 9-year-old Schnauzer. As far as hobbies, I just purchased a 1972 Chevelle SS in February, and I enjoy woodworking. When I ran for Commissioner, I didn’t have any expectations or idea of what it entailed. In the old days everyone just talked about the Road Commissioners, but there is so much more to it with the workings in Court and all the legal things that you have to know. When I was first elected, V.G. Young offered their 16-hour training in College Station and a wealth of knowledge. Now, the new Commissioners and Judges seminar is offered every year after an election, and it is invaluable! Another wonderful thing about the Commissioners Court is you have four other members you can learn from and who keep you out of too much trouble. I was pleased to learn upon my election that our county helps provide fire protection. Through the years we have become more versed in firefighting, and the Texas Forest Service has provided training for our road hands. My view on this has always been safety first, man, machine, in that order. We have also had all of our NIMS training, and that helps when out on an incident. I greatly appreciate having road hands who are so adept at their jobs. I have a man who has been with me over 20 years, and we are more like family than some family I have. Junior Sullivan takes care of the county roads and me. He has been a blessing in my life, and he has a calmness about him that helps me when the sky is falling! I am thankful! A typical day has changed over the years and has evolved from spending more time out on the roads to time spent dealing with courthouse workings. When I started we would meet at the barn and plan out our days and decide what needed attention. Now we spend more time accepting calls and listening to concerns of constituents about what we need to address in the future. You can be assured something will pop up that you weren’t expecting. So you just handle it. Some of our biggest challenges have been things like the floods in 1995 and the fires in 1996 and 2006. Those are the most memorable and notable in my recollection. We have had the help of the Panhandle Regional Planning Commission which has been invaluable in these catastrophes. I can’t say enough about our local council of governments. You know, when I took office either I didn’t have the knowledge, or things just weren’t so out of kilter in our state government. It seems back then they tried to help with county issues. My father used to tell me, “If you’re going to build a good fence, set a good corner post.” I believe that this applies in all aspects of life. The Bible tells us not to build a house on sand, so we need a good foundation for everything we do in life. It is apparent to me that the Texas Legislature, mainly the Senate, is trying to squash the very foundation of government with all the bills they are passing to hamper county government including revenue caps and spending limits. I do want to commend Sen. Kel Seliger for going to bat for our small counties and rural people. It seems others are trying to cut our money off at the top and telling us how much we can spend at the bottom. What does that leave the county to do? I believe all of this attention on counties is being used to cover the main issue here, which is the state’s responsibility to fund the school system. I have always believed if you have a gripe, you need to have a solution to go with it. My solution to school funding would be to add 1.75 cents to the sales tax to raise it from the 8.25 to 10 cents and use the extra 1.75 cents exclusively for funding the school system. The best part of my job is being able to make a difference, whether it is in the courthouse helping with a public need that makes someone’s life better or on a county road making someone’s travel better. I have been blessed with the ability to remember names and faces. I believe it is important to call everyone – especially children – by name to give them self-worth and acknowledgment. Life is short, so tell your loved ones that you love them!